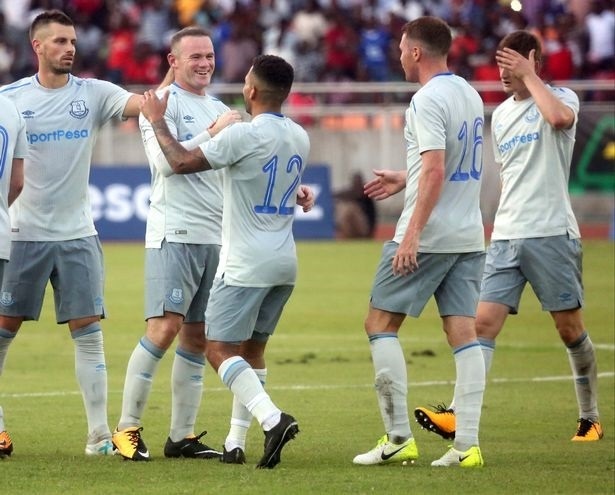 Wayne Rooney, on Thursday, scored on what could be termed his second debut for Everton as they take on Kenyan side, Gor Mahia in a pre-season game in Tanzania. The goal brought back memories of Rooney's famous first goal for the Toffees first time around - when he slotted in against Arsenal. Though Gor Mahia equalised through Jacques Tuyisenge's header just before half time, Everton claim victory for the day through Kieran Dowell who scored nine minutes from time.